Do you shop on Amazon? Of course you do!!! These days, people buy everything on the internet, even groceries. Well, what if there was a way you could do everything you are doing now, buy everything you were going to buy already, AND some of that money could go back to the band program you love? Well, we are there right now!!! 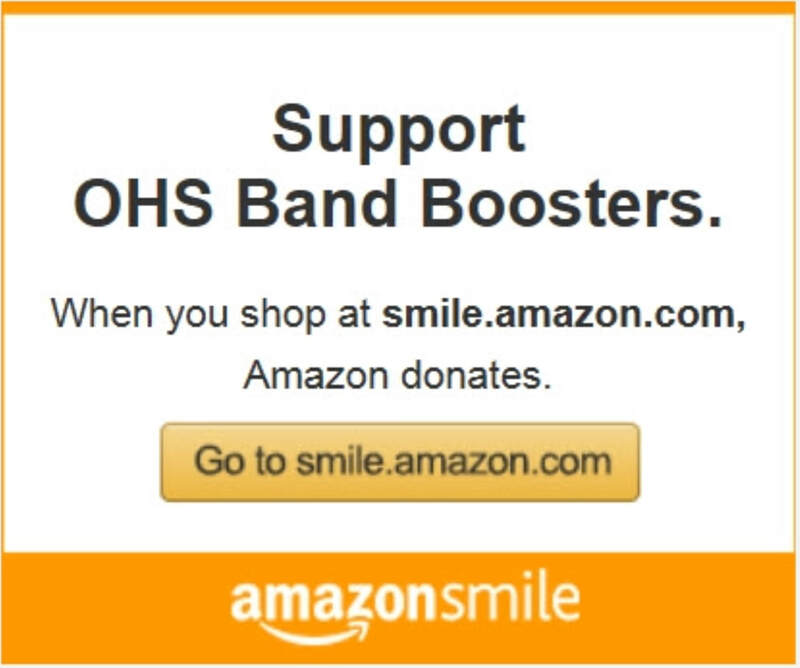 Amazon has put together a fantastic program called Amazon Smile, Here, a small percentage of your purchases (0.5%) goes towards a charitable organization of your choice, in this case our Band Boosters. Just click on the picture below, and it will take you to our page. Just save the Amazon Smile link in your Favorites instead of the regular Amazon one, and everytime you need to do some shopping, money is coming back to your students, without you spending any extra money!!! Remember, smile.amazon.com, and your normal login information. Thanks everyone!! !